We’re fighting fossil fuels at source but there’s a massive connection between fossil fuels and plastic waste. When oil and gas companies sell fuel for energy they use the byproducts to make plastic and then push it to consumers who never asked for it! 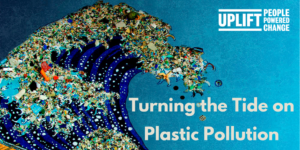 Chip in to help us put pressure on businesses to ditch plastic waste.